The Apple iPhone SE should appeal to those who like 'em small and like 'em cheap(er). With a 4-inch screen and compact footprint, the iPhone SE packs a lot of punch into its frame. Apple said iPhone and iPad owners will be able to download and install iOS 9.3 starting today. 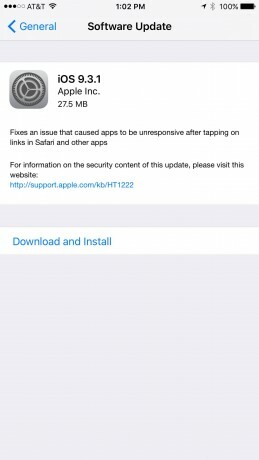 iOS 9.3 is a more significant point update than normal. Apple is now offering consumers the option to select its iPhone Upgrade Program when purchasing an iPhone via the Apple web site. Apple first rolled out the program last year with the debut of the iPhone 6s and 6s Plus.